Traveling has always been a passion of mine. No matter how far from my doorstep I go, I love getting away and have new experiences. One of the places I have never been to is Iceland. It is unlike any other destination in the world, so of course I would love to have the chance to go! Since my fiance and I have not picked out a locale for our post-nuptial getaway, Iceland is a place we have always wanted to visit. After doing some research, we came up with an Iceland holiday wish list of experiences we would love to try! I would love to see Iceland from another point of view, so taking a geothermal helicopter tour of Iceland would be really exciting! This adventure reveals Iceland’s subterranean energy as groups tour across Iceland’s landscape. We will go over geothermal hot springs, colour mountain ranges, power plants, lava fields and craters. The helicopter will then land away from the crowds to make a quick stop to check out the landscape we have just flown over. Our flight will end with an aerial tour of Reykjavik. I have never been in a helicopter, so this tour would be an exciting one to go on! I have never seen a glacier, so this tour would be one to remember! We would get to see Solheimajokull Glacier in South Iceland. While on this tour, there will be amazing ice and rock formations to explore. Some tourists are also able to do some glacier climbing! The tour will be led by professional guides with all of the equipment necessary to take on this adventure. 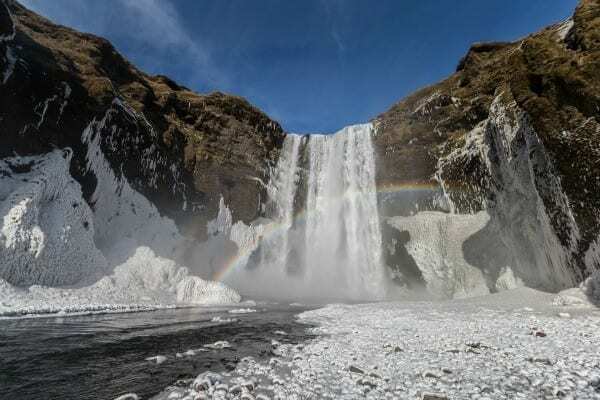 On the way back, we would see the Skogafoss waterfall which is one the most beautiful within Iceland. This tour would be such an adventure to experience. Glacier climbing would be such a thrill to experience! I have been spelunking before, so going on a tour of caves of ice would be a whole new experience! We would explore a unique ice cave inside Vantnajökull National Park. During the summer, water runs underneath the glacier, forming caves. Since ice cave are a rare phenomenon that are naturally formed, local guides from the area go in search of new caves every year. Guides then inspect the structure and condition of these new caves before leading us through them. This tour is a once in a life time experience as the caves travelled through are not the same year after year. How could I say not want to go on this tour while in Iceland! I would want to go on this tour because I would want to have some down-time and see some of Iceland’s most popular sites. 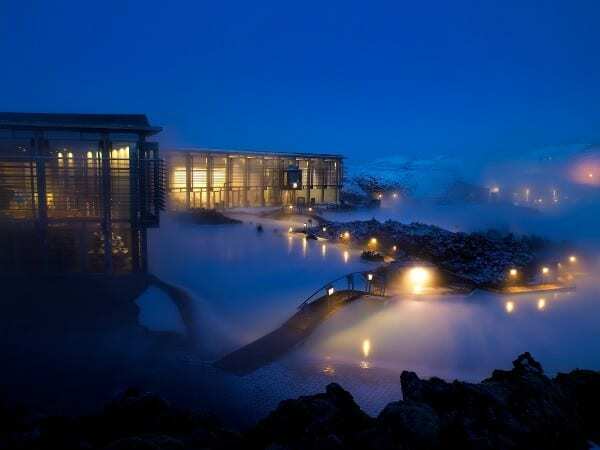 This trip begins with a swim in the mineral-rich Blue Lagoon geothermal spa. Tourists will then head back to Reykjavik towards the Golden Circle tour. From here, the trip makes three stops. The first one is to Thingvellir National Park. It is a UNESCO World Heritage Site which sits on the Mid-Atlantic Ridge. I would be able to cross off another item on my bucket list because this ridge separates the two continents of North America and Europe! We would then make a stop at another of Iceland’s beautiful waterfalls, the majestic Gullfoss, along the popular rafting river Hvita. This waterfall drops 32 meters into the river gorge and we will be close enough to feel its spray. I’m not afraid of heights, so this look would be an amazing one to see. 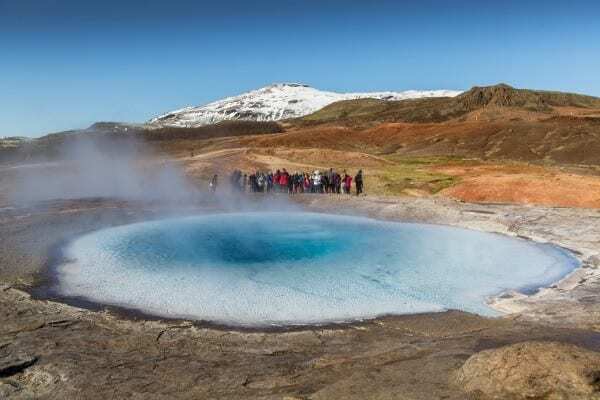 Our last stop on this tour will be the Geysir geothermal area where we will get to visit its hot pools and the hot springs Geysir and Strokkur. Geysir is no longer active, but Strokkur is still a sight to see, erupting every 4-8 minutes and reaching an average height of 15-20 meters, and can go as high as 40 meters! This tour seems like a lot of fun and a whirlwind experience without becoming too active. What a way to end off an amazing visit to Iceland! These experiences are just a taste of we can expect to experience if we book a trip to Iceland! It may be a colder destination than the rest of the places that have made our short list of places we would like to go, but it is majestic, exotic and full of rare experiences we will not be able to do and share anywhere else in the world! Besides, the cooler weather will allow for us to stay close and snuggle more! Whether you are traveling alone, as a couple or as a family, an Iceland holiday would be one to remember! 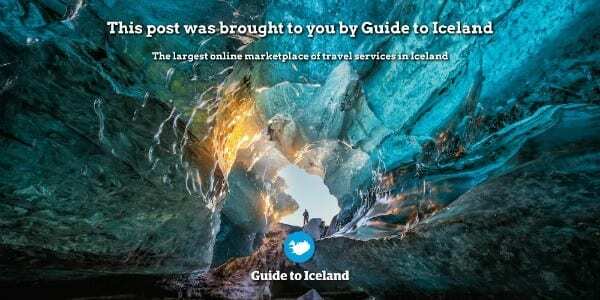 I was asked to share my Iceland holidays wish list by Guide to Iceland, but all opinions and views are my own. My mother visited Iceland last year and said it was the experience of a lifetime! I would love to go, it truly sounds amazing. The Instagram page of the Icelandic police force went viral because they’re so adorable- quite the contrast to American police! Seems like an ideal society in many ways. Thanks,this all so amazing,someday i would love to take a trip sometime. My sister and her hubby are going their in 2016,i think it will be a trip of a lifetime 25 years married it will be an amazing trip i am sure! We have friends going to Iceland this year, and are very envious. It looks like Iceland would be a great place to visit, lots of natural wonders to check out. We hope to camp around Iceland this summer with the kids (9 and 11). Visiting Iceland is on my bucket list. Hubby would love to go there as well. Thank you for sharing all the lovely pics, as this might entice him to go sooner. I wish! Not yet, but it’s on my bucket list! My sister visited a few years ago and wants to go back so back,they loved it!